(SPOT.ph) Hands up if you're hitting the beach in the coming weeks! But before you start flexing and showing off that #Laboracay bod, make sure your skin can take the blistering summer heat. Here are five tips that will keep you fresh, feeling good, and looking good on the sand and under the sun. 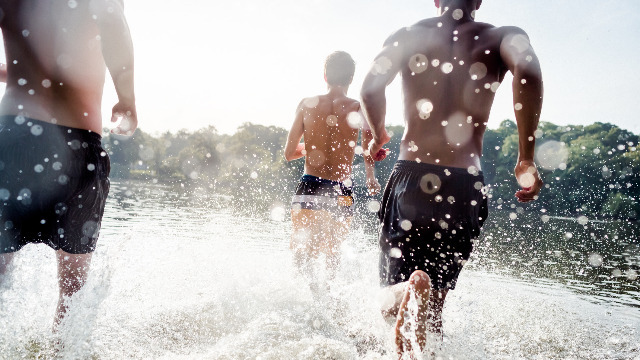 With the summer sun in full blast, you run the risk of getting a bad sunburn or really dry skin. Before you go out there, make sure to apply a lotion that will protect and moisturize your skin. Try Vaseline Healthy White SPF 24 and take the sun head on! The heat and sun can also lead to face problems, leaving you looking haggard. Not cool, since your summer adventures will be a time to meet a lot of new people. Try Pond’s Men Energy Charge face wash to keep that whiter + energized look throughout the day. Breakouts seem to occur more often come summertime because of all the sweat and oil building up on your face. So after washing your face with soap, apply Master Oil Control Max Deep Cleanser to get rid of deep-seated dirt that can cause oil and pimples. Even though you're at the beach you should still pay attention to the way you smell. Especially since there are going to be so many ladies around! To keep smelling good all day long, keep a can of Axe Black handy for a refined scent that also works in the outdoors. Be prepared for the high temperatures! This summer, the heat is definitely going to be on, and you’re bound to sweat buckets. Always remember to use a deodorant like Rexona Men to keep you fresh all day. And while you’re at it, you can say goodbye to those tell-tale summer pit stains! Now that you know which products to get, we recommend you check out the BIG SUMMER SALE from March 10-19 in leading stores nationwide. 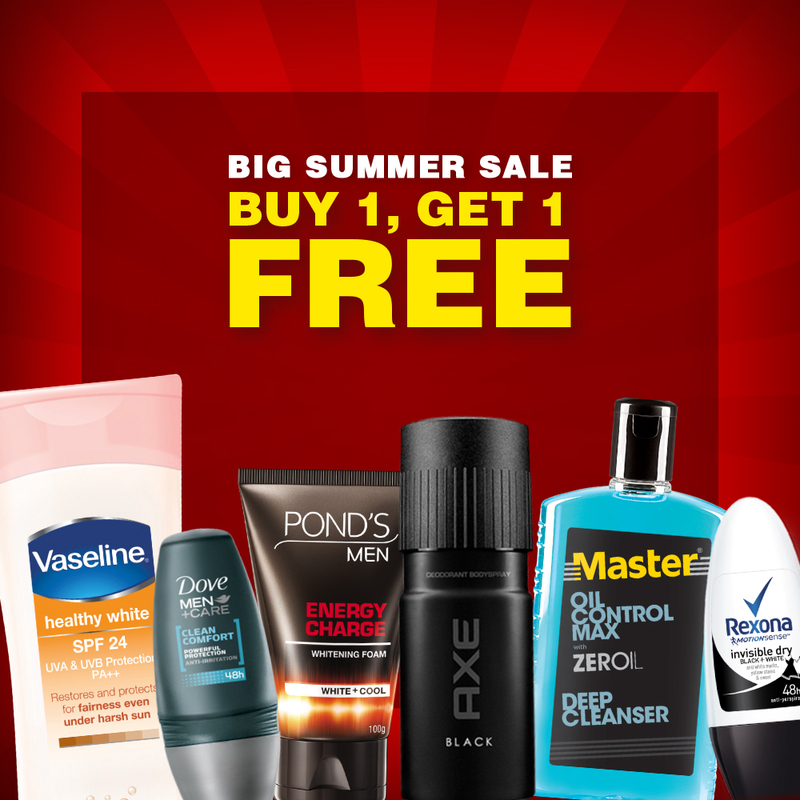 You can score buy-one take-one deals from participating brands including Dove Men, AXE, Rexona, Vaseline, Pond’s Men, and Master.